102,000 out of 140,000 Dutch Jews were murdered, with only a handful of Dutch offering help and most doing the opposite. Seventy years have passed, during which successive Dutch governments have avoided official mention of the grave misconduct of its Second World War predecessors in exile in London, with respect to the many murdered Dutch Jews. All governmental post-war statements on this issue taken together amount to less than one page of vague, irrelevant or glib rhetoric. Every now and then, opportunities arise to draw attention again to the Dutch official omissions or falsifications of the truth. One such occasion occurred when the Dutch government recently apologized to the family of a murdered woman for its negligence in the surveillance of the murderer, her mentally disturbed brother. The government also rushed to apologize to the family of the former Dutch Prime Minister Els Borst who was murdered in February 2014, apparently by the same suspect. He has however neither confessed to this murder, nor been convicted in court. The contrast of these rushed apologies for possible indirect government responsibility with the lengthy absence of such apologies to the Jewish community is self-evident, and highlights the extreme double standards involved. On the one hand - apologies concerning one person possibly killed due to government negligence. On the other hand - seventy years of waffling about over 100,000 Dutch Jews murdered by the German occupiers, while the Dutch government showed virtually no interest in these citizens and made no effort to save any of them. 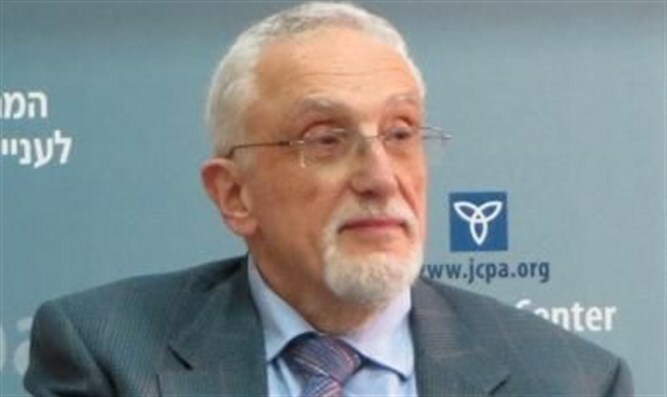 Rabbi Abraham Cooper, Associate Dean of the Simon Wiesenthal Center aroused the interest of the Wall Street Journal in this matter. The paper offered us (Rabbi Cooper and myself) the opportunity to publish a joint article on Dutch double standards concerning apologies. In the occupied Netherlands, the Jews to be deported to the death camps were arrested by Dutch policemen, transported by the Dutch railways, and guarded by the Dutch military police. In our article, we pointed out that The Netherlands was the Western European country where by far the largest percentage of Jews was murdered during the war. Of the 140,000 Jews in the Netherlands at the outbreak of the Second World War, 107,000 were deported, mainly to German extermination camps in Poland. Of these, 102,000 were murdered. Following the recent apologies of Luxembourg and Monaco, now all other Western European countries have either apologized or admitted to their war-time predecessors’ responsibility and misdemeanors in great detail. In our article, we focused solely on the main misdemeanors of the Dutch government-in-exile. This government only inquired about the fate of the deported Jews a year and a half after the deportations had begun, despite the fact that both the Dutch and Polish governments in exile were located in the same building in London. In the meantime, in the occupied Netherlands, the Jews to be deported to the death camps were arrested by Dutch policemen, transported by the Dutch railways, and guarded by the Dutch military police. In 1943, Henri Dentz, a Dutch government-in-exile employee was tasked to write a report on the deportations. He estimated that 90% of those deported had been murdered. He declared before a post-war Dutch parliamentary commission, that no one in the government was willing to read his report. We then stressed the contrast of the recent Dutch government’s apologies to Ms Borst’s family with the lack of apologies forthcoming for the Jews. The day after the article was published, the national daily NRC Handelsblad contacted us as they wanted to publish the article. That Dutch translation led to a debate in the paper and in various other Dutch media. A few days later, the only Chief Rabbi residing in the Netherlands, Binyomin Jacobs, called for an apology from the Dutch Prime Minister for the first time, during an interview with the Jewish Telegraph Agency. That article was republished by Jewish media in several languages. The NRC Handelsblad also allowed me to reply to the letters to the editor it had published in reaction to our original article. Early this year, parliamentarians Joram van Klaveren and Louis Bontes, of the small Voor Nederland party, had asked Prime Minister Mark Rutte to apologize to the Jewish community for the wartime government’s failures. In his answer Rutte curtly referred to the glib statement of then Dutch Queen Beatrix in the Knesset in 1995. In my reaction in the NRC Handelsblad, I focused on what the Queen had actually said there, and suggested what she could have said. This text was not only vague. It also put the emphasis in the wrong place. The text sounded even more insincere if one compared it with then French president Jacques Chirac’s detailed admission of French war time collaboration with the Germans several months later. ‘The Dutch government-in-exile in London and the Dutch bureaucracy in the occupied Netherlands failed grievously with respect to their murderously persecuted Jewish fellow citizens. The government showed barely any interest in their fate. It didn’t even occur to the government to appeal to citizens in the occupied Netherlands to help Jews who wanted to go into hiding. Even if one of the 102,000 murdered Jews would have been saved by such a call, it would have been worthwhile. Thanks to the initiative of individual Dutch citizens, 24,000 Jews were able to go into hiding. This small minority of helpers cannot be praised enough. Unfortunately, 8,000 of those Jews in hiding were arrested, partly betrayed by other Dutch citizens. ‘There is continuity of government in the Netherlands. I therefore at the request of our current government offer apologies to the Dutch Jewish community for the far-reaching failure of its predecessor in London. This is a Dutch debt of honor and not something the surviving Jews should have to ask for. ‘It is not easy for me to speak about the attitude of my grandmother (Queen Wilhelmina) toward the Jewish community in the Second World War. Before the outbreak of the war, she had already protested against the housing of German Jewish refugees in army barracks in the town of Ermelo. She felt it was too close to her vacation palace Het Loo (which was at least 10 km away). Therefore a camp had to be built for them in Westerbork, in an isolated area of the Netherlands. Payment for this new camp was demanded from the Dutch Jewish community. All the above greatly contrasts with the benign international image of the Dutch war past. One can only hope that once again, Dutch parliamentarians will confront Prime Minister Rutte about his irrelevant answers and references to an insincere speech in the Knesset. It shouldn’t be too difficult for Mr. Rutte to change his mind, tell the truth and apologize. He has been known to change his mind, as shown in his recent reversal of his major election assurance not to pay any more money to Greece, a promise which probably won him enough votes to become Prime Minister of the Netherlands. A postscript, perhaps related to the media debate on apologies to the Jewish community which was going on: Gert Oostindie, director of the Royal Institute for the Knowledge of Language, Land, and People (KITLV) rather suddenly came out with the demand that the Netherlands should finally order a full, systematic investigation of the colonial war which led to Indonesian independence in 1948. This was the largest war the Netherlands ever carried out, with at least a hundred thousand Indonesian fatalities. Abraham Cooper and Manfred Gerstenfeld, “It’s time for the Netherlands to Apologize,” the Wall Street Journal, 29 July 2015. “Luxembourg apologizes for role in WWII persecution of Jews,” Haaretz, 12 June 2015. Associated Press, “Prince Albert apologizes for Monaco’s role during the Holocaust,” The Guardian, 28 August 2015. “Dutch chief rabbi: Netherlands should apologize officially for Holocaust-era complicity,” JTA, 9 August 2015.